Ralph Liew, Dip Ed, RFC, CWM, MFP, studied agency management at LIMRA School of Agency Management, Dallas, Texas, and management at the College of Insurance in Missouri, USA. An Insurance veteran, who developed million dollar agencies in Malaysia, Hong Kong and Indonesia. Held Business Development, Marketing, VP and Director of Agencies positions in AIG companies for 28 years.Joined Kuok Insurance Division to expand its Asia Pacific business holdings “ C “ positions for 10 years. Was founder director of KRM Reinsurance Brokers, Taishan Insurance Brokers and Generali Filipinas Life. 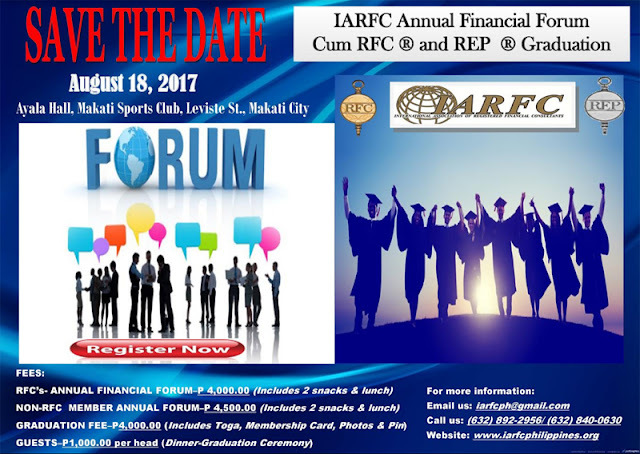 Current, President of IARFC Philippines, he Founded in 2004, IARFC Thailand in 2005 and IARFC India in 2006. Received the Loren Dunton Award- International from IARFC, USA for contributions to the financial planning industry. Dubbed the “Man for all Seasons” in IARFC USA, “The Register” magazine, is popularly known in the Philippines as the father of Financial Planning Philippines. Entrepreneur, speaker, coach, mentor and trainer he is passionate about training and education. His Mission: alleviation of poverty through financial literacy by RFCs. 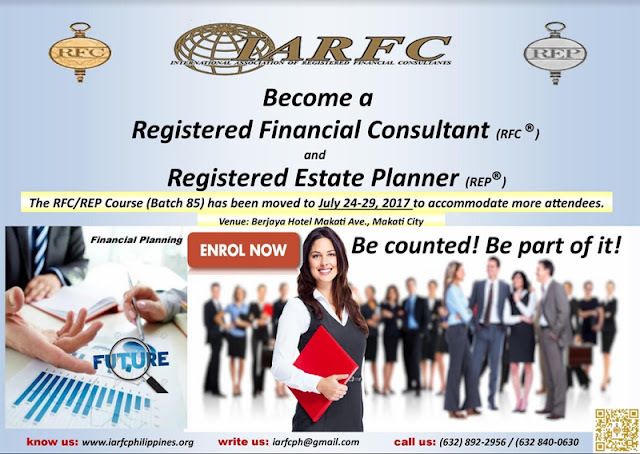 Register with ARLENE M. BAGUYO at IARFC Philippines Inc.